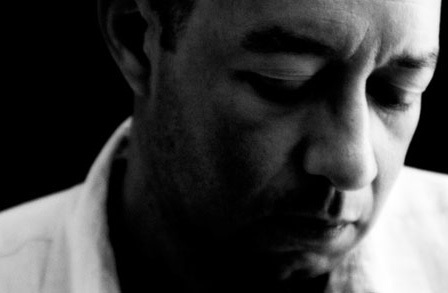 Carl Phillips is the author of twelve books of poetry, including Silverchest (2013) and Double Shadow (2011), which won the Los Angeles Times Book Prize. Other books include Quiver of Arrows: Selected Poems 1986-2006, a translation of Sophocles’s Philoctetes (2004), and Coin of the Realm: Essays on the Life and Art of Poetry (2004). His honors include the Kingsley Tufts Poetry Award, the Theodore Roethke Memorial Foundation Poetry Award, the Thom Gunn Award for Gay Male Poetry, and award in literature from the American Academy of Arts and Letters, and fellowships from the Guggenheim Foundation, the Library of Congress, and the Academy of American Poets, to which he was elected a Chancellor in 2006. We asked Phillips about “Birdland,” a sestina that appears in his first book, In the Blood, and which also appears in The Incredible Sestina Anthology. I first discovered the sestina around the winter of ‘89 or so, when I had gotten a copy of [John] Hollander’s book, Rhyme’s Reason. I knew nothing about form, and decided to make myself write all the forms in the book. The sestina appealed to the part of me that likes creating and breaking codes. Having said that, I don’t really like reading them. They’re usually too long. I think a good one should seem to go by quickly. Are there other sestinas in your drawer or published? I have only written the one sestina. I may have written one and then abandoned it that one winter. Once I had one I liked, I stopped. So you’re a one-and-done sestina writer. Can you walk us through the composition or inspiration of “Birdland”? Something tells us this isn’t just about birds. It probably started from watching birds lift from and settle into a field, something I love to watch. But I soon realized I was somehow writing about a particular flock, some idea on my head of gay men in a club, though I had yet to go to a club and had yet to understand my being gay. I like how the original birds got transformed in that way. 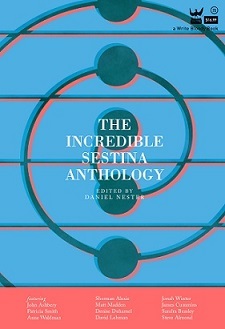 The first sestinas were always dedicated to someone—to whom would your sestina be dedicated? I would probably dedicate it to the self I left behind, the one afraid to be himself. This entry was posted in Behind the Sestina and tagged Academy of American Poets, Carl Phillips, Library of Congress, Los Angeles Times Book Prize, National Book Award, National Book Critics Circle Award, Poetry, Sestina. Bookmark the permalink.